I attended a nice experiential learning workshop this last Saturday.Â I was invited, after some prodding, to watch and learn a very accomplished methodology of converting waste vegetable oil (WVO) into biodiesel.Â I learned far more than I hoped for. The first step was a swearing to silence as to all names and places to protect the innocent.Â We agreed that one chicken livered do-gooder neighbor could ruin your whole week.Â Some folks just don't understand 50 gallons of methanol stored next door.Â His cost is $225 a drum. Mr. X has been processing WVO for over three years.Â He has one supplier; a local successful tavern.Â They changed from canola oil to a more economical hydrogenated product about a year ago somewhat to his disappointment but it still works.Â Between his two Mercedes sedans, Dodge 2500 and a large motor home his fleet has logged an easy 100,000 miles of trouble free service.Â He also heats his house which is an additional 200 gallons or so a year as well.Â These are his credentials and they are good enough for me.Â As the day progressed I realized he has it pretty much nailed. His plant is located along the exterior wall on the inside of his two car garage.Â One day last summer I just happen to be walking by when his garage door was open.Â He was shocked when I walked up and inquired about his program.Â I have been by his garage a couple of dozen times since that day last summer and the door has rarely been open even on weekends again.Â I think his security program has tightened a click or two since my first inquiry. The oil is picked up in the standard near five gallon 33 pound plastic carboys.Â It is then poured into a 55 gallon steel drum through a stretched tee shirt.Â Thatâ€™s it and there is no drum sump where the oil would be drawn off from above.Â On processing day the oil is heated to around 125 degrees F from a water heater element thatâ€™s fitted into the 2â€� bung on the bottom.Â Itâ€™s then all sucked from a 3/4 â€œ bottom fitting up through a 5 micron drinking water filter and then pumped into the processor.Â And in less than ten minutes his processor is filled up to the 24 gallon mark.Â His processer continues to maintain the temperature with another 120 volt water heater element.Â He started with some of the off white poly-whatever drums but because of fitting leakage he has evolved to an all steel plant.Â Except for the processor all the drums are standard 55 gallon units. I soon realized that there was no titration process conducted.Â (This is an indirect test for free fatty acids (FFA) in WVO. )Â Mr. X has conducted countless titration tests in the past with little or no deviation.Â People that get their oil from multiple or changing sources should research titration as an important step in the producing of bio diesel. The oil had been circulating around the processor while the catalyst was being prepared and the 125 degree temperature was being maintained.Â The fully diluted catalyst was then siphoned into the top of the processor through a quarter inch clear line.Â We went on to the washing system as this mix of WVO and KOH/methanol catalyst was left to be pumped around and around for about two hours with its temperature still being maintained at 125 to 130 degree F.Â Iâ€™d guess it took twenty minutes to siphon all of the catalyst into the processing mix.Â Transesterification is a function of proper chemicals being mixed at proper temperatures.Â A mixture at 125 degrees F. takes longer than that same mixture being circulated at 140 degrees F.Â Mr. X prefers the lower temperature because of the volatility of methanol.Â I asked how he knew when it was â€œsoupâ€�.Â He replied â€œI am not sure if you can tell when the oil has finished transesterification while being processed.Â I just follow the recipe I found on the net that says you can process at 140 degrees for one hour or 130 degrees for two hours.Â My process is about 125 degrees for two plus hours.Â You can determine the percentage of conversion after you process with a 3/27 test as described in the collaborative bio diesel website: http://www.biodieselcommunity.org.â€œÂ This is his favorite biodiesel information site.Â We came back to the processor after a two plus hour recess.Â The circulation pump was turned off as was the tank heater.Â This batch was left to settle and separate until the next day.Â At that time, the glycerin and remaining methanol part is drained from the bottom and stored.Â The lighter â€“ translucent biodiesel was pumped to the washing tank. Another steel 55 gallon drum is used for this process as well.Â There is a bottom drain for removing dirty wash water and a side drain for removing the washed bio diesel.Â The plant actually has two such washing tanks because the washing process is at least a two day process and hence the processor is freed up to do one process per day.Â The agitation is achieved with a standard large aquarium stone powered by a good sized aquarium air pump. I didnâ€™t have time to watch the finish of the washing process so I inquired about how you know when itâ€™s done.Â He replied â€œWashing does not have a predetermined amount of cycles.Â You just wash until there are no more bubbles suspended on the surface of the fuel.Â The amount of time it takes can vary based on several factors.Â They include temperature [he doesnâ€™t heat this tank], the frequency that you change the water, the aggressiveness of your bubbler, the ratio of catalyst in your process and the percentage of suspended glycerin you transferred with the fuel to the wash tank. Upon successful washing of the biodiesel weâ€™re only one step away from having the finished product.Â The washed biodiesel is transferred to the drying tank.Â Yup, another 55 gallon steel drum is used to construct the drying tank.Â The 3/4â€� threaded hole in the bottom is plumbed into one of the infamous biodiesel 1/2 HP blue pumps and then into the side of the tank where it enters a 3/4â€� PVC pipe with small holes drilled in the sides so that when the pump is turned on the biodiesel sprays against the sides of the tank and the water particles evaporate.Â This process will take a couple of hours but is again function of temperature and humidity.Â This process is done when the biodiesel becomes totally clear and you cannot see anything suspended while looking through it in a quart bottle or jar. Methanol is the big money part of our process so reclaiming it is a worthy endeavor.Â Mr. X uses the recycling technique.Â So the methanol laden glycerin mixture is used in the next batch of biodiesel.Â So once the process is established and running the 24 gallons of WVO is put into the processor, the recovered glycerin from the previous process is slowly introduced and circulated for about an hour and then allowed to settle out.Â When that exhausted glycerin is removed then prepares an 80% by volume batch of KOH and methanol.Â This is siphoned into the process just as the first batch was and is allowed to circulate for the same two plus hours, settle out and removed.Â This batch of biodiesel is ready for washing.Â The recycled glycerin is nearly methanol free and moved on to disposal.Â The current residual glycerin and methanol mixture is saved for the next biodiesel batch, recycled and so on. Mr. Xâ€™s system doesnâ€™t seem very scientific or scary. His tract record tells me enough to build my plant very much like his.Â I might mention a couple of differences I will build in. Â Â Â 1.Â My processor will be under cover but will not have sides or walls to trap gasses.Â Ah, the tropics. Â Â Â 2.Â Methanol will be stored under this same cover but this is over 70 feet from habitated spaces. Â Â Â 3.Â 20 gallon net biodiesel batches.Â Iâ€™ve already got the 30 gallon water heater and am looking for a couple of 40-50 gallon water tanks for the washing and drying tanks rather than the 55 gallon drums. I have to add that I run a tractor and the difference between even B20 and pure dino-diesel makes a tremendous impact on the operatorâ€™s environment.Â Biodiesel, especially from WVO, is just better in all ways. I stopped by Mr. Xâ€™s house after his review of this article.Â He has decided to store the methanol in a shed well away from his and his neighborsâ€™ homes. Thanks for sharing the details of "Mr. X's" system. Not sure why he's keeping it secret? What you described is the same system that thousands of people are using to make biodiesel. His whole system is quite typical of what's described on many web sites. For further reference, I can recommend the book "Biodiesel Basics and Beyond" written by William Kemp. Good luck with your system. Please post pictures when complete. Feel free to throw any questions out to us WVO and Bio "D" experimenters. Thanks for the offers of help. I've had a couple of inquiries about the secrecy thing about where this processor is and where mine will be.Â It has a lot to do with living with your neighbors.Â I think storing 50 gallons of methonal is pretty danerous.Â One gallon of methanol vaporized would easily remove a house from the neighborhood if not the neighborhood.Â Some folks just don't understand having that kind of power stored next door. I think storing 50 gallons of methonal is pretty danerous.Â One gallon of methanol vaporized would easily remove a house from the neighborhood if not the neighborhood.Â Some folks just don't understand having that kind of power stored next door. It's less dangerous than storing 50 gals of petrol (gasoline) surely? There's less specific energy in Methanol (vs. petrol) - almost half as much, in fact. So 50gal methanol = 25gal petrol, roughly. And most people regularly keep 25+gals of petrol in their cars... So 50 gals of Methanol would make a rather spectacular explosion, but I seriously doubt it'd completely flatten a brick/concrete structure, let alone an entire neighbourhood. It all depends on storage conditions. In ideal circumstances it would be no more hazardous than a bulk LPG container for domestic heating. DON'T STEAL , THE GOVERNMENT DOESN'T LIKE COMPETITION !!! ANOTHER Lister 6/1 CS SOM , temporarily !!! is the trick part of the assertion from where I stand - well away from vaporized methanol or gasoline, thank you. That is the critical issue , and Methanol vapourises more readily than petrol. No need to store a 50 gal drum of Methanol. It also goes by the name of "methyl hydrate". It can be bought in 1 gallon containers at most major hardware stores. It's should very safe to store some of these containers on site. Start out on a small scale and grow over time. The slightly increased cost of buying methanol in smaller containers will hardly effect your cost per liter (or gallon) of finished biodiesel. A big advantage of biodiesel is that there's no modification required to run it in your vehicle. In cooler temperatures, you can blend it with Dino Diesel. For those who are concerned about running WVO in their expensive vehicle, I think biodiesel is the way to go (IMHO). 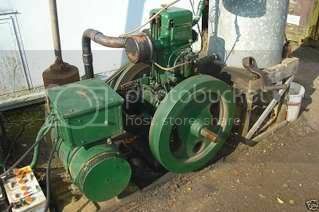 However I must side with Jens when talking about stationary engines. WVO can be cleaned and even blended/diluted to create an inexpensive fuel with less preparation and processing. My preference would be Biodiesel in the vehicle and blended WVO in the generator. Methanol, also known as methyl alcohol, carbinol, wood alcohol, wood naphtha or wood spirits, is a toxic chemical with chemical formula CH3OH (often abbreviated MeOH). Drinking even small amounts can cause blindness. It is the simplest alcohol, and is a light, volatile, colourless, flammable, toxic liquid with a distinctive odor that is very similar but slightly sweeter than ethanol (drinking alcohol). At room temperature it is a polar liquid and is used as an antifreeze, solvent, fuel, and as a denaturant for ethanol. It is also used for producing biodiesel via transesterification reaction. Methanol is toxic by two mechanisms. Firstly, methanol (whether it enters the body by ingestion, inhalation, or absorption through the skin) can be fatal due to its CNS depressant properties in the same manner as ethanol poisoning. Secondly, in a process of toxication, it is metabolised to formic acid (which is present as the formate ion) via formaldehyde in a process initiated by the enzyme alcohol dehydrogenase in the liver. The reaction to formate proceeds completely, with no detectable formaldehyde remaining. Formate is toxic because it inhibits mitochondrial cytochrome c oxidase, causing the symptoms of hypoxia at the cellular level, and also causing metabolic acidosis among a variety of other metabolic disturbances. Probably no worse than gasoline !! Many people are at risk if Methanol is that hazardous in practice as Champ cars run on it , as do some dragsters , some classic race cars and bikes etc , etc. Biodiesel systems become unsafe when venting rules are ignored. If the reactor and wash thank are vented outdoors, then the risk is substantially reduced. I think most biodiesel accidents occur when the tanks are vented into the room where they reside. If basic safety rules are followed, the system can be quite safe. It's all up to the user and the level of comfort when taking short cuts. You know you're suggesting common sense.Â I agree.